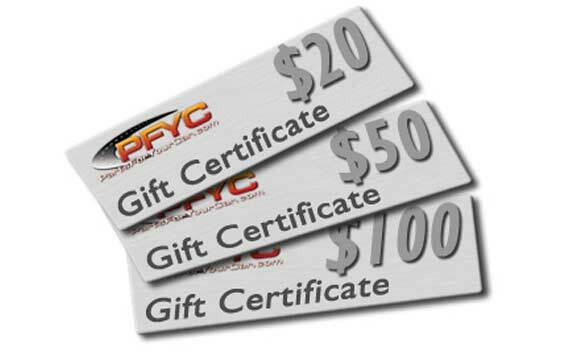 It's not too late - special discount on gift certificates @ PFYC - PartsForYourCar! Forgot to get your friend or loved one something special for Christmas, or simply didn't come up with a good idea? Let PFYC.com help. From now until Christmas day, use promo code ITSNOT2L8 and get 10% off of any gift certificate purchase. You can choose to have them sent to you or your recipient directly (and instantly). Unlike many other similar programs, our gift certificates never expire and come with absolutely no fees or nonsense. The amount you pay (before discount) is the amount you or your recipient gets to spend. In addition, your recipient gets our 15+ years of experience and help plus our other benefits such as the option to participate in our loyalty reward points program, double manufacturer's warranty, and industry leading price matching policy. Southern Shootout Sponsor Specials @ Thunder Racing!